Origin: There are many varieties of Eucalyptus; we carry a variety known as California Red Gum. Like the name suggests, this species is found in California. Color: It has a red to red-brown color. Often you can find slabs with great figure. Decay and Weather Resistance: Rated as being moderate to very durable. Red Gum is sensitive to humidity but otherwise great for exterior applications and construction. 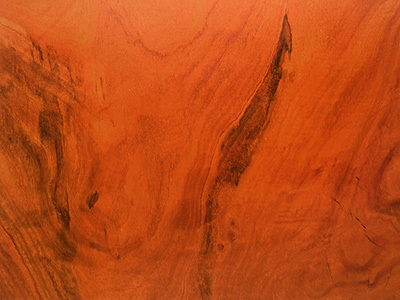 Workability: Australian Red Gum is a very hard, dense wood and can be difficult to work with. Uses: Popular for furniture because of its color and figuring. It is great for outdoor use in heavy commercial construction, framing, flooring, and joinery. We are one of the biggest and oldest suppliers of large natural live edge wood slabs in the country. We have over 10,000 kiln dried live edge slabs in stock with nearly 50 species to choose from. In our inventory we have slabs up to 75" wide, up to 20' long, and up to 8" thick. If you can't find what you need online, please contact one of our knowledgeable sales representatives for assistance in your search.